Lions Club of Sterling Charities, Inc.
2nd & 4th Thursday at 7:30 P.M.
2nd Thurs: O'Malley's Irish Pub, Holiday Inn Dulles, Sterling, Virginia. 4th Thurs: Board Meeting, at the home of one of our member's. Contact us for more details. 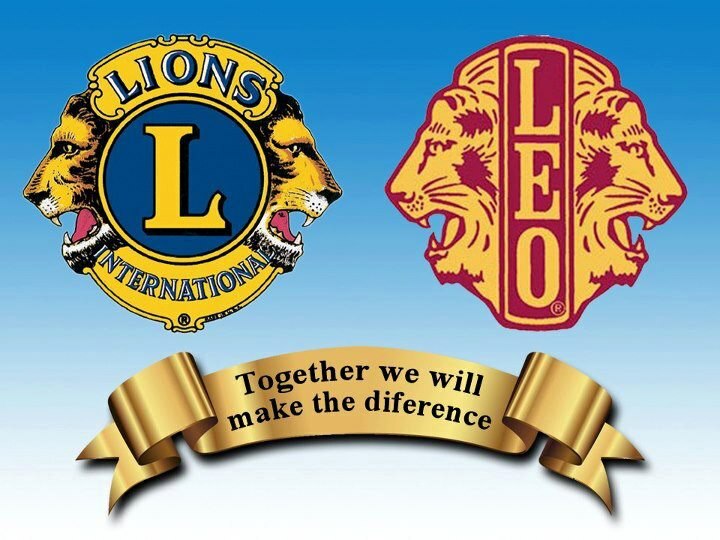 Make a Donation to the Lions Club of Sterling Charities, Inc.
100% of your donation goes for our Charitable Causes, nothing goes for Administration or Professional Fundraising. Donate securely by check or Credit Card using our PayPal portal. WATCH THIS SPACE FOR DETAILS OF THE LIONS DAY AT NATIONALS PARK 2019. 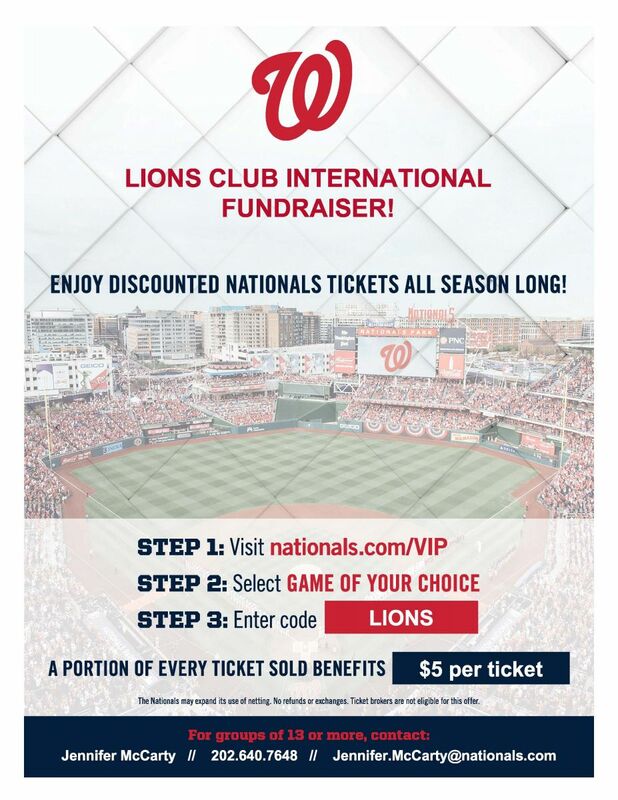 If You Like Washington Nationals Baseball, and you want to help the Lions Club of Sterling Charities, Inc. ALL SEASON LONG, Use the link found below to purchase your tickets for all games other than the Special Lions Day at Nationals Park during the 2019 season, and $5.00 of your purchase price will be donated to the Lions Club. We Thank You or your Continued Support! Non-evasive, and the subject does not have to be verbal or speak the language of the screening technician. To schedule a FREE Screening event, Contact the Sterling Lions Club at (703) 723-0077 or by e-mail at: SterlingLions@verizon.net. We are presently booked to do the State mandated eye screening for the Loudoun County Public Schools 2018-19 school year, Head Start Program as well as St. Theresa's and Our Lady of Hope Catholic Schools. Is your child's school not included above? If so, have your child's pre-school, school or daycare center schedule their free KidSight USA Screening now, as Fall Screening dates are filling up fast. Click here to contact Lion Davida Luehrs to schedule your screening date of to get more information on the Lions KidSight USA Early Childhood Screening Program. 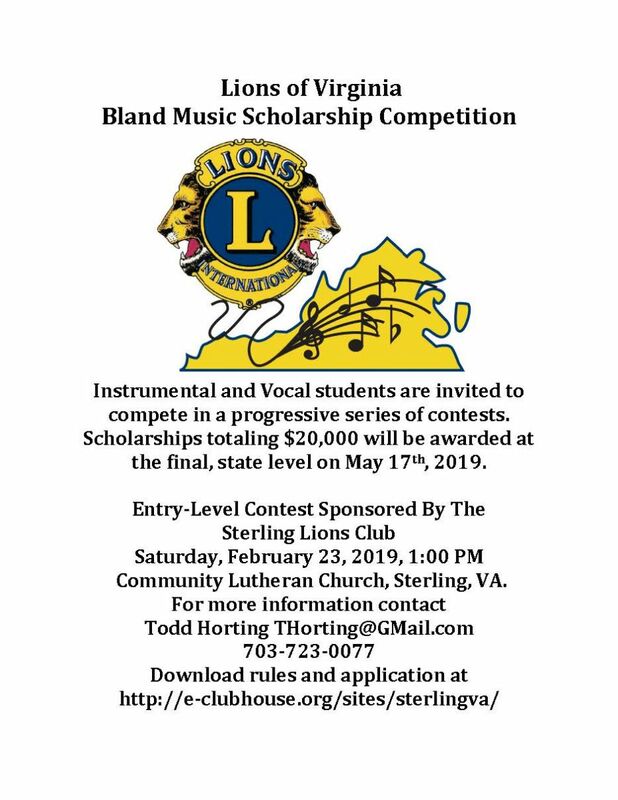 The date for the 2018-19 Sterling Lions Club's James A Bland Music Scholarship Competition is scheduled for Saturday, February 23, 2019 at 1:00 PM. 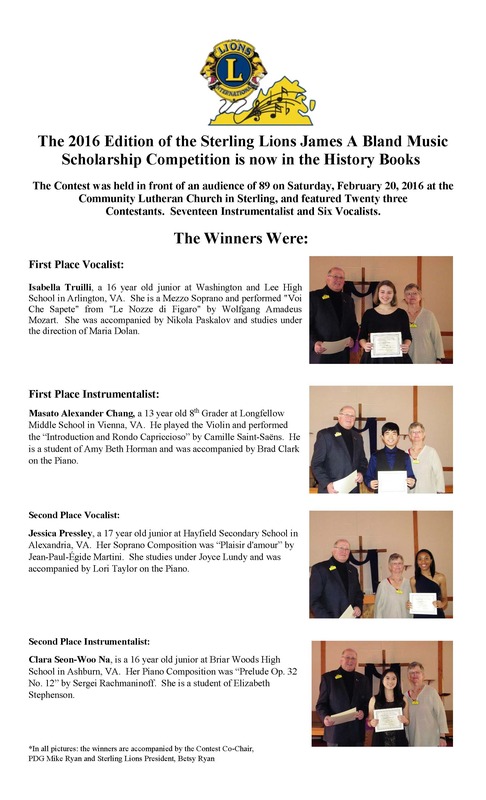 The contest will conducted at the Community Lutheran Church located at 21014 Whitfield Place, Sterling, VA 20165. For a Contestant Application and Rules please Click the link below. for our annual Florida Citrus Fruit Sale Fundraiser each December. The exact date, time and location has yet to be set, but is usually scheduled over the first or second weekend of December. Please check back her in October for more information.